Your home is your property, and you have complete right to make it safer and secure using different ways. You can use many ways and should also give a chance to the baby monitor. Baby monitors come with HD camera recording quality and also offers excellent quality microphone and other necessary features. Because of this, you can have an eye on your home whether you are there or not. Let’s have a look at the best top baby monitors for iPhone, iPad and Android devices in 2018. 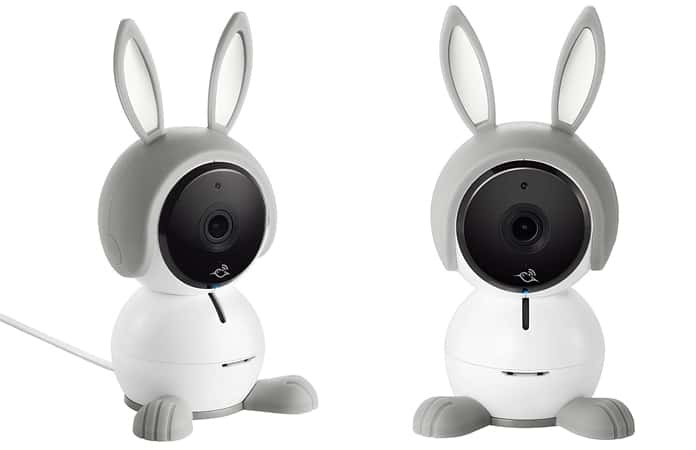 Netgear Arlo Baby is a great monitor which is well famous and well-admired security camera. It is an affordable monitor which can record the high-quality video and can stream it to you. It can record the videos in 1080p which will be rich in color and pattern. Due to its high power streaming, you will be able to see the live recording from anywhere in the world. You should know that its microphone is two power and you can quickly and easily have an eye on your baby. The one crucial thing is that you don’t need to watch the recording on your iPhone or iPad all the time because it has notifications when there is a change in the motion, sound, air, and other parameters and you can respond from anywhere. Its cost is only $200, and it can provide you a lot of benefits and free from all worries. Nanit smart baby monitor is another perfect baby monitor having everything to help you to check the activities of your baby. Its design attracts the buyer, and it looks like a shower head and can cover most of the area under it. As you have to install it on the height, you can easily view everything under this monitor and see your baby activities too. You can use its different alerts notification and can also zoom in or zoom out using this monitor. Additionally, it can track that how many times there is a disturbance in the cabin of your baby and what is average sleep time of your baby. It also provides suggestions for your baby sleep and happy night time of your baby. Its cost starts from $280. iBaby Care M7 is a great baby monitor, and it can rotate itself at 360-degree to record everything of your wish. Its outer body design is superb, and it looks like a shining star. It comes with great camera quality and can help you to make secure your home and protect your family members from any problem. You can watch the recorded videos anywhere just using the internet connection. This monitor can also inform you about the temperature and humidity in the room of your baby on your iPhone screen. Because of this you can arrange better conditions for your baby and can give him/her a sound sleep without any disturbance. Its price is $240 in the market, and all of its features are very useful to take the benefits. 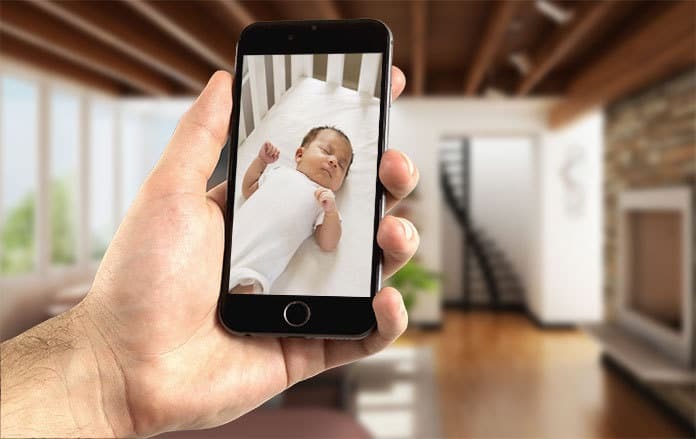 Now you can watch your baby 24/7/365 from everywhere with crystal clear live-stream using Holababy monitor. This monitor delivers real-time HD video with perfect night vision. This monitor has also a microphone and speaker, so you can talk and listen to your toddler. 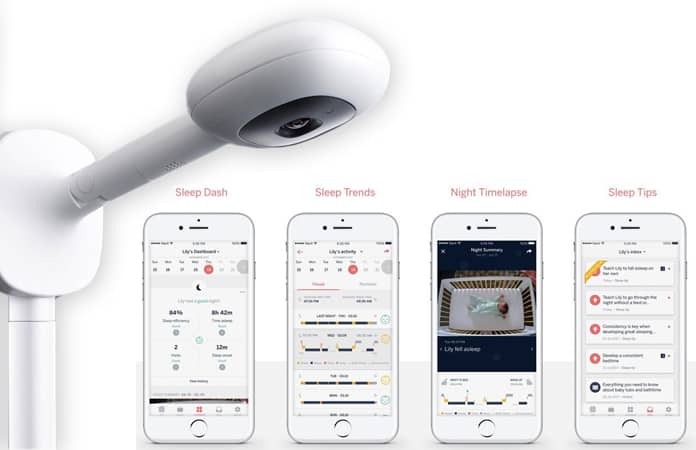 Holababy includes temperature, audio and motion sensors. 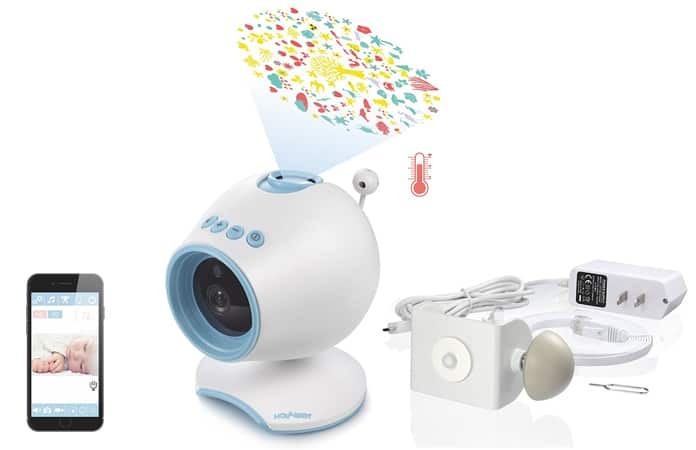 This little cute monitor includes ceiling-directed projection and multi-color night light that lights your baby’s room, and make nature sounds so your baby can sleep better. Project Nursery is another excellent WiFi Baby Monitor on the market. This monitor is easy to set up and easy to use. 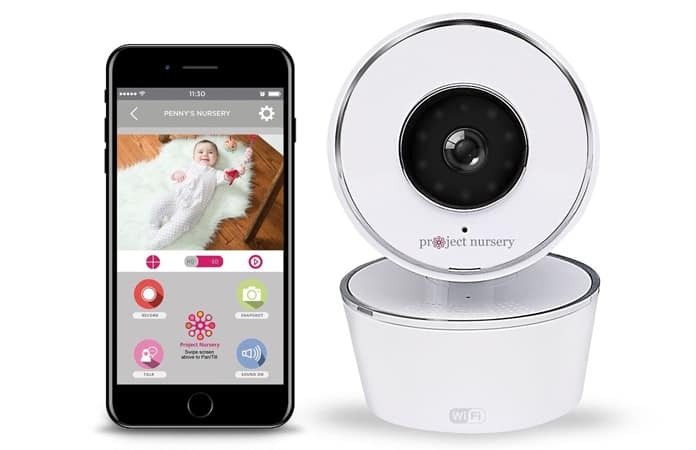 WiFi compatibility gives you the ability to monitor your baby from home, work, or another country using your iPhone, iPad or Android device with the free Project Nursery App. 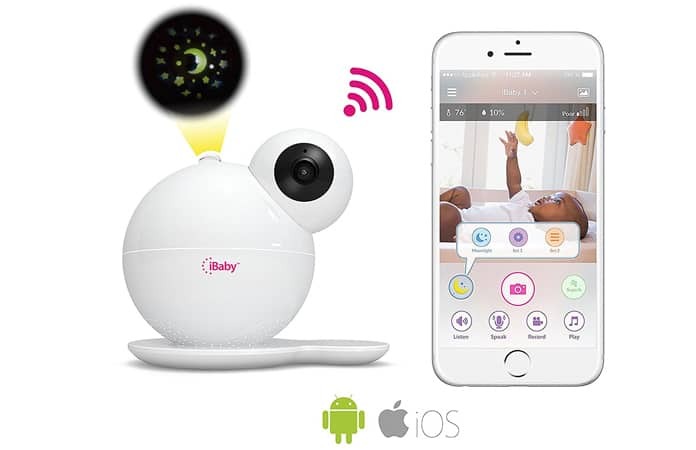 This baby monitor includes infrared night vision, temperature and motion detection with alerts to your smartphone, and two-way communication option. Now you can keep an eye on your home while you’re out, using the perfect baby monitor. So which one of these baby monitors do you have? Share your thoughts in the comments below.